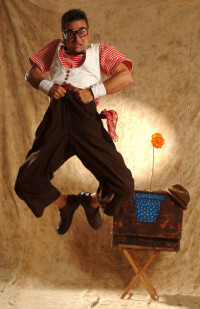 Rufino is an elegant comedy artisan. 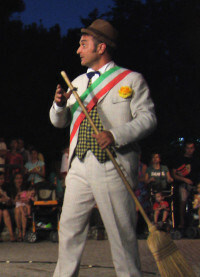 The show begins before any introduction: playing the role of an unconvincing major he makes his way through the crowd swaying to the rhythm of joyful music. When people gather in a circle around him the show can start, but perhaps it already did. His playful way to communicate with gaze and surprise let Rufino catch the attention and curiosity of people passing by without making the slightest sound. Thanks to his own clear-headed madness this tireless clown, smile collector and poet of amusement, in a gentleman-gangster style he gives a picture of reality in which everything is absurd. 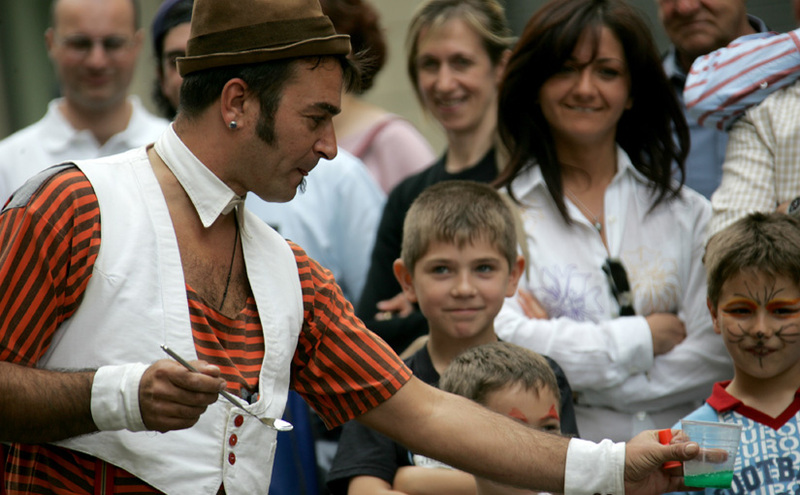 His disarming craziness and surrealistic humour slowly capture the audience, leading old and young to be part of a magic game made of laughters, endless surprises and comical crafts. 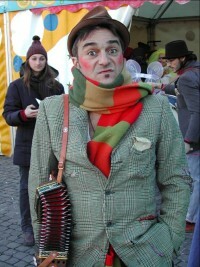 Rufino has been defined “a Franciscan of comedy”. His work is made of little actions that attract deep attention, perhaps something we are not used to anymore. His wordless, universal language suits audiences of all age, culture, social extraction, nation and religion.